Young Ukrainian researchers can now defend their EU-style PhD theses in partnership with EU universities. 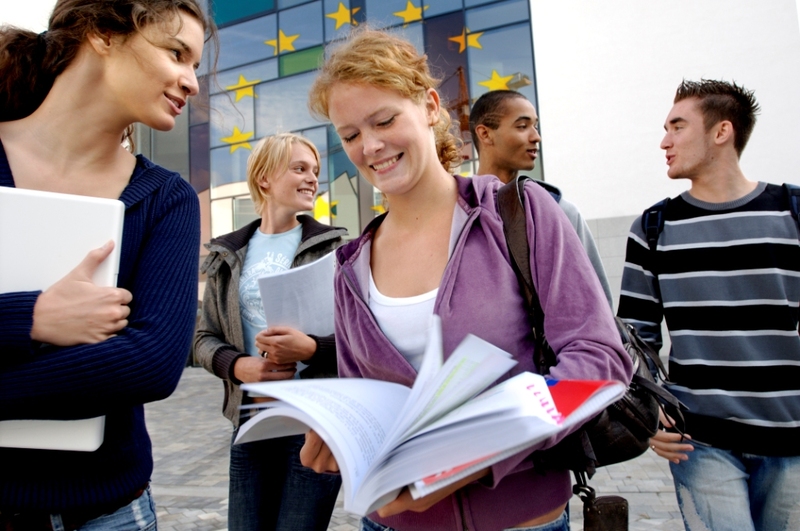 TEMPUS, an EU higher education programme, has helped to facilitate a breakthrough in the Ukrainian education system through funding significant reforms in the national higher education sector. On October 11, 2013, a TEMPUS project aimed at reforming PhD programmes in Ukraine and Georgia held its final reporting meeting in Kyiv. The meeting participants discussed the results of the project, which implemented European practices around learning and research and reformed the higher education systems in the two countries. 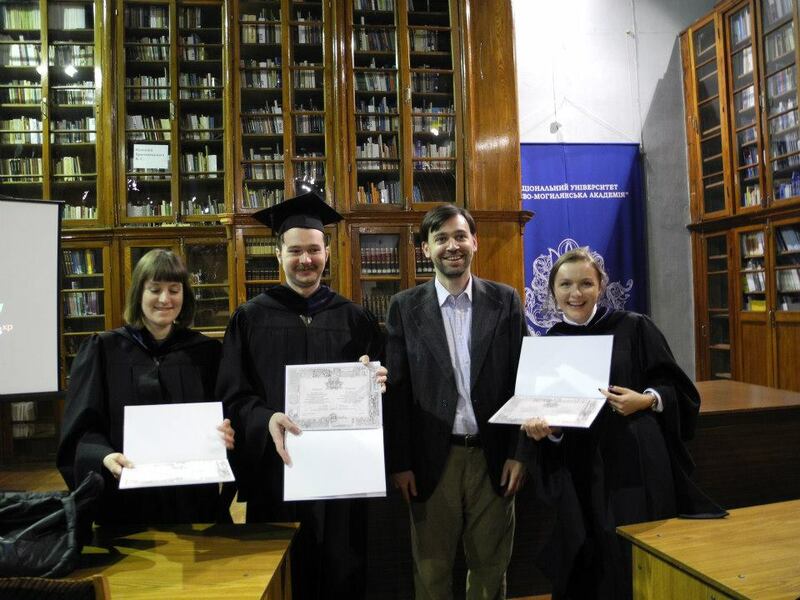 While the Ukrainian post-secondary education unit (soviet “aspirantura”) operates mostly for control and qualification functions, contemporary European doctoral schools help PhD students integrate into the global research community. Within the EU-style system, PhD students have the opportunity to establish close links with a global community of peers, and have their research results and methodology evaluated by leading experts around the world. Additionally, future researchers gain not only the required field-specific skills and knowledge, but also develop abilities that are critical for a successful career. For example, they gain experience initiating research projects, presenting and disseminating research results for wide audiences, fundraising, and managing research. This new type of doctoral school, based on the best EU standards, is now being established at Kyiv-Mohyla Academy (NaUKMA). Thanks to the TEMPUS project and its consortium, the school has already made considerable progress, including establishing online open-access journals and refining the procedure for PhD defense and degree-granting criteria. Additionally, it drafted the “Doctoral School Code of Practice” and established a Learning Management System. The doctoral programme’s key achievement, however, lies in the field of international PhD research. Thanks to the school, promising Ukrainian post-graduate students defended their EU-styled PhD theses in cooperation with European universities. Using a “co-supervising” system wherein the PhD student has several supervisors (one in Ukraine and the others in an EU-based university) the system helped Ukrainian students produce knowledge recognized in leading EU education institutions. In 2011-2013 a number of graduates of NaUKMA PhD programs successfully defended their theses through this program (either in Ukraine, or in the EU): Hanna Belenka (PhD in Finance), Oleh Ivanov (PhD in Mass Communications), Dariya Taradai (PhD in Mass Communications), Anastasia Grynko (PhD in Mass Communications), Dariya Orlova (PhD in Mass Communications), Maria Sydorovych (PhD in Finance), and Tetiana Stepurko (PhD in Public Health Administration). “The EU-style PhD model could foster Ukrainian research to internationalise,” believes Anastasia Grynko, PhD in Mass Communications. It can “bring new modern methodological approaches and allow scholars’ access to wide sources and resources,” she adds. Due to international PhD programme students get a chance “to immerse into a different academic culture and add another perspective into [their] research projects,” adds Dariya Orlova who also defended her international PhD thesis in Mass Communications. “EU-style PhD programs imply high level of academic mobility, which obviously broadens doctoral students’ scholarly outlook and integrates them into an international academic community,” she adds. In addition to TEMPUS’ work through universities, the project team in Ukraine was also active in proposing draft laws aimed at reforming Ukrainian higher education. It advocated for the idea that research education should not be excessively regulated by state authorities. Instead, its institutional structure and procedures should stay open for collective management by doctoral program chairs, university administration, and the broader academic community. Five years of practical implementation of EU-style PhD programmes at Kyiv-Mohyla Academy has helped develop a new vision for doctoral education. According to project experts, this field should become a flexible but structured network of learning and research opportunities. These opportunities have to stimulate critical discourse, encourage self-directed professional development and promote active peer cooperation to prepare junior researchers to prosper in a changing global research community. The TEMPUS project, «Development of best practice model Doctoral Schools for structured PhD programme implementation in Ukraine and Georgia» (2010-2013) was designed to produce and implement an effective model of research education that could build the capacity of PhD programs as active research and learning environments. The following institutions participated in the project consortium: National University of Kyiv-Mohyla Academy, Ukrainian Catholic University, Petro Mohyla Black Sea State University, NASU T. H. Shevchenko Institute of Literature, NASU M. H. Holodny Institute of Botany, Université Paris-Est (France), University of Glasgow (UK). The results of the projects will be disseminated through NaUKMA Doctoral School: http://gradschool.ukma.kiev.ua, social networks https://www.facebook.com/gradschool.ukma, and open access to publications http://www.ekmair.ukma.kiev.ua/handle/123456789/1978.